After a 5 year struggle with anorexia (with purging tendencies), depression, self harm and over exercising I have now been recovered for 4 years and i use my blog to help others in the same situation i once was. I am now a happy and positive person who wants to inspire those struggling to choose recovery and to take control over life and happiness again! Myself - My journey to Health. Mando. Mando Meter & Wii-base. myths and misconceptions of anorexia. My life at the moment is completely different to how it once was. I spent 5 years sick with anorexia nervosia and depression as well as struggling with self harm and overexercising. I spent 2 years in different treatment centres. And since 2012 i have been declared healthy from my eating disorder. I have been blogging for 7 years, and my whole journey is written in my posts. I now represent healthy and happiness. I want to show anyone struggling that it is possible to recover, no matter how hard it may seem. I now blog about recovery, my life, veganism and positivity! Ive recently been asked about my self harm scars and whether A has wondered about them and no, he hasnt. They have faded but they are still white scars which can be seen on my arms. None of my friends have asked about them either... but the thing is its not really something you ask about... I mean i have seen one of my friends who has had self harm scars and even though i wanted to reach out and ask her if she needed help, there is something that holds you back. And i think its the same for other people, that even if they become curious or figure out that the person has self harmed and they want to ask if the person is ok... there is something that holds them back. I dont think people should be ashamed of their self harm scars, though i mean having self harm scars isnt always so fun, especially if they are very deep and leave very nasty scars, but they leave a reminder of your past. What you have been through and how far you have come. Its like white tattoos, or just normal tattoos.... though with tattoos its often a choice to have them on your skin for the rest of your life. 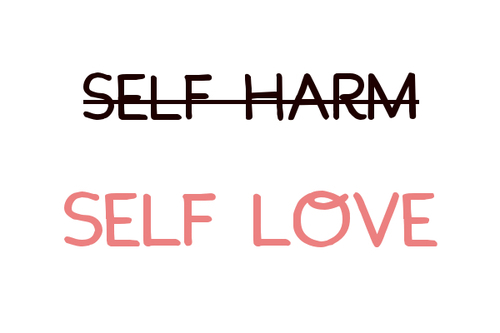 But self harm scars, its not exactly something you choose to have, its something you do for numerous reasons. However not having any long term scars can be a reason to try to stop self harming, because its such a nasty thing. 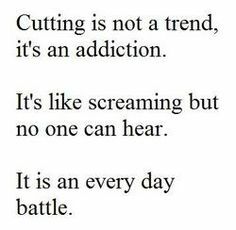 It is a short term coping mechanism that doesnt really work in the long term... because in the end the self harm wont work anymore, it wont remove the pain and anxiety you are in, because it's a mental pain, and the pain cant be removed by a blade or other form of self harm. I dont really know where i am going with this post, but i guess i want to say that self harm isnt a joke, but having scars isnt something to be ashamed of either. But i mean i know there are people who are proud of their scars and gladly show them.... For me i had a period like that, it was like my self harm scars showed just how broken down i was. Showed just how much i was suffering and how much pain i was in.... but now its like i want to be strong and look strong to show just how strong i am on the inside!! Have my physical match my insides. How to cope with weight gain. I wish people would see me, the real me, the one that is hurting and lost. Creativity & some exercise thoughts! Copyright - Izzy M.. Ethereal theme. Theme images by digi_guru. Powered by Blogger.